The Lord God, the God of Israel, calls Cyrus king of Persia His anointed. God said He would give him victory over his enemies and give him treasures and riches (Isaiah 45:2,3). The Lord said He did this for the sake of His chosen ones of Israel. Isaiah 45:4 For Jacob My servant’s sake, and Israel My elect, I have even called you by your name [i.e., Cyrus]: I have surnamed [i.e. to give a flattering title] you, though you have not known Me. Though Cyrus did not know the Lord God, the Lord called him by name and set him up as ruler over the kingdom. 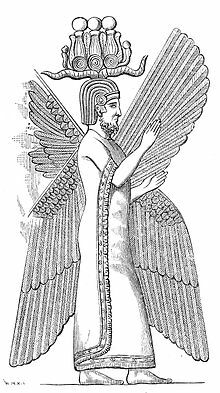 Cyrus, and king of Persia, in confederacy with the Medes, conquered Babylon, which had already conquered Judah and taken many Jews into exile. Though Cyrus was unbelieving and an evil king God set him up as ruler over the nations. Romans 13; 1 Let every soul be subject to the higher powers. For there is no power but of God: the powers that be are ordained of God. Romans 13:3,4 For rulers are not a terror to good works, but to the evil. Will you then not be afraid of the power? do that which is good, and you shall have praise of the same: 4 For he is the minister [servant] of God to you for good. But if you do that which is evil, be afraid; for he bears not the sword in vain: for he is the minister of God, a revenger to execute wrath upon him that does evil. Another reason is that the world may know that there is no other God but God. He is the great I AM (the unspoken Hebrew name YHWH translated as LORD), who has always has been, the “self-existing one”. He is sovereign. He is in total control and will achieve whatsoever He will. Isaiah 45:6 That they may know from the rising of the sun, and from the west, that there is none beside Me. I am the LORD, and there is none else. 7 I form the light, and create darkness: I make peace, and create evil: I the LORD do all these things. God created Cyrus, whom He calls evil, an evil ruler to control a lawless people. God set Cyrus up to accomplish His will on Earth. God even raised Cyrus up for righteousness. Isaiah 45:13 I have raised him [Cyrus] up in righteousness, and I will direct all his ways: he [Cyrus] shall build my city, and he [Cyrus] shall let go my captives, not for price nor reward, saith the LORD of hosts. God says here that He directs all the ways of the evil ruler, Cyrus in this case. But the same is true for all the rulers of the nations and kingdoms of this world. Proverbs 21:1 The king’s heart is in the hand of the LORD, as the rivers of water: He turns it wherever He will. God controls the decisions and actions of the rulers. God is in control. He accomplishes His will as He pleases. Some people complain, saying how could a good God create an evil ruler? But strong, and hence evil, rulers is what rebellious and evil people need to control them politically. God will use one nation (and hence the king of that nation) to judge another nation as He has done with Israel many times. For example, He used the Assyrian nation as a “rod of My anger” (Isaiah 10:5); even called them His “axe” (Isaiah 10:15) against His own rebellious and godless people (Isaiah 10:6). Isaiah 45:9 Woe unto him that strives with his Maker! Let the potsherd [a shard or piece of pottery] strive with the potsherds of the earth. Shall the clay say to him that fashions it, What make you? or your work, He has no hands? 10 Woe to him that says to his father, What father [gave birth to] you? or to the woman, What have you brought forth? 11 Thus says the LORD, the Holy One of Israel, and his Maker, Ask Me of things to come concerning My sons, and concerning the work of My hands command you me. 12 I have made the earth, and created man upon it: I, even My hands, have stretched out the heavens, and all their host have I commanded. 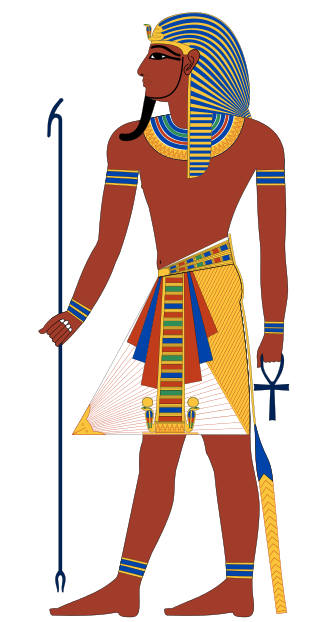 Romans 9:17 For the scripture says to Pharaoh, Even for this same purpose have I raised you up, that I might show My power in you, and that My name might be declared throughout all the earth. God shows His sovereign power over the Pharaoh of Egypt, who was in power when Moses led the children of Israel out of that land. God chose and directed Pharaoh for His will. So how can we find fault with God when we are but the creation of His hands. Romans 9:19-21 You will say then to me, Why does He yet find fault? For who has resisted His will? 20 Nay but, O man, who are you that replies against God? Shall the thing formed say to Him that formed it, Why have you made me thus? 21 Has not the potter power over the clay, of the same lump to make one vessel to honor, and another to dishonor? A vessel of dishonor is one of the evil ones, which includes the evil rulers of this world. They are God’s tools in His hand. Romans 9:22-24 What if God, willing to show His wrath, and to make His power known, endured with much long-suffering the vessels of wrath fitted to destruction: 23 And that He might make known the riches of His glory on the vessels of mercy, which He had before prepared to glory, 24 Even us, whom He has called, not of the Jews only, but also of the Gentiles? Some were prepared, fitted for destruction, while some, the elect, were chosen for salvation before the foundation of the world. This entry was posted in Biblical doctrines and tagged Cyrus king of Persia, Cyrus the Great, Isaiah 45, John Hartnett, Pharaoh, Sovereignty of God, the elect. Bookmark the permalink.